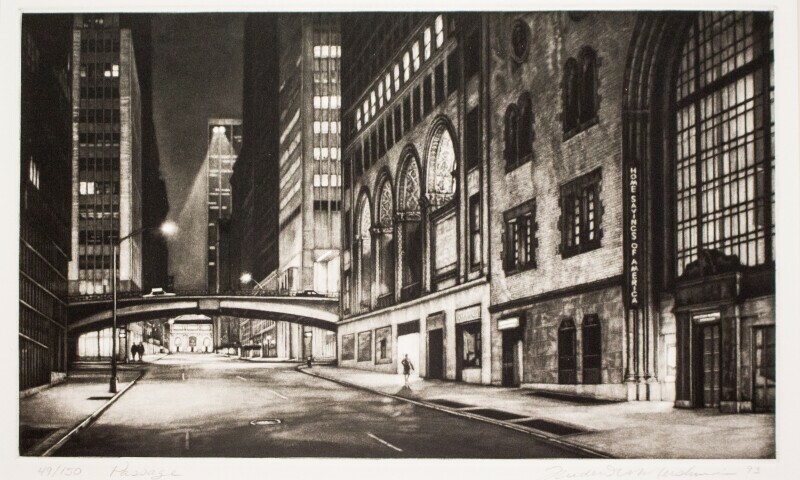 Drawn from the Cummer Museum’s extensive collection of works on paper, this presentation will feature more than 30 prints celebrating modern cities and the timeless charms of the country. Visitors can admire how artists have aptly captured the changing landscape of burgeoning cities like Chicago and New York, with its iconic Brooklyn Bridge, busy streets, workers, and harbors. In contrast to such images, the stillness and serenity of the countryside — with its wide open spaces, fields, and lakes — offer a welcome respite from the often chaotic urban life.